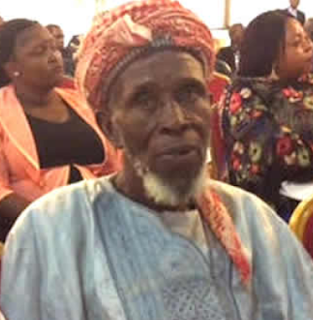 The Federal government has concluded plans to give a national award to the 83-year-old Muslim cleric of Nghar village in Gashish District, Alhaji Abdullahi Abubakar, who hid over 300 Christians during the massacre that took place in Jos in Barkin Ladi Local Government Area in June. Plateau state governor, Simon Lalong, disclosed this at the opening ceremony of a three-day peace and security conference with the theme, “The resurgence of violence in Plateau State: Towards a multi-stakeholder partnership for peace and security.” yesterday July 30th. He said President Buhari has asked him to bring the clergyman for a handshake and national award. ”The President has told me to bring Imam Abdullahi Abubakar for a hand shake which will be followed by a national honour. I was also preparing what to do for this man. Although he is already in his old age, God knows why he did it at that age for us to study and also know how to maintain peace, not only in Plateau State but in Nigeria in general. What he did not only saved the people of Barkin Ladi LGA, not only Plateau State but I think the whole of this country because 300 lives is not a small number. So, Alhaji Abdullahi Abubakar, only God will reward you for what you have done. We are waiting for that process of meeting the President for a handshake and national honour. The Imam had in the heat of the attack on June 30th, opened the mosque and his home for Christians fleeing their homes from the suspected herdsmen, to take refuge. The assailants had stormed the mosque and demanded that the Imam open the mosque for them to kill the occupants. The Muslim cleric deceived them that all those in the mosque were Muslims.